The ERATAC® backup-sight has been devel­oped to offer a rugged and robust sight to with­stand roughest condi­tions while offering at the same time the precision of a compe­ti­tion shooting sight. The combi­na­tion of steel parts where absolutely essen­tial and high grade aluminum parts wher­ever suffi­cient, gave us the possi­bility to imple­ment a sight with mini­mal­istic design, low weight and minimum height. Thanks to a special surface treat­ment all parts are corro­sion resis­tant to with­stand even maritime condi­tions. The spring-loaded folding mech­a­nism reliantly protects the sight from damage when used under rough condi­tion in the field. A backup-sight must enable the shooter to aim the gun quickly and intu­itively espe­cially when acting under stress. We, there­fore, designed the ERATAC® backup-sight in a way that the small and large ghost ring is same plane. It is not neces­sary to change the point of aim when the distance to the target remains unal­tered. The height of this sight corre­sponds to the height of an AR15 stan­dard sight and can be easily combined with prod­ucts from other manu­fac­turers. The front sight is avail­able in two different versions. We recom­mend to use the wide post (1.8 mm / 0.07”) for mili­tary purposes. 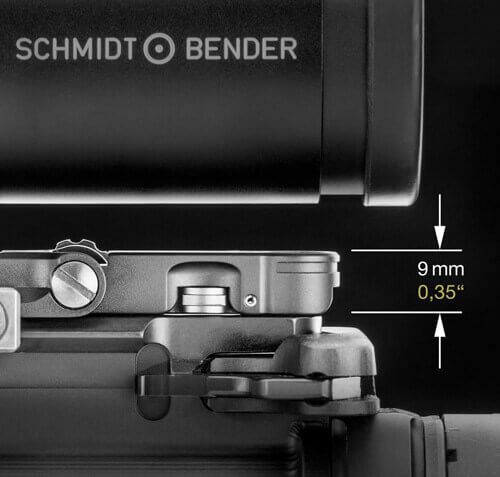 When using the sight for compe­ti­tion shooting the smaller version with a 1.35 mm / 0.05” wide sight insert is recom­mended. No tool is neces­sary to alter the height of the front sight. 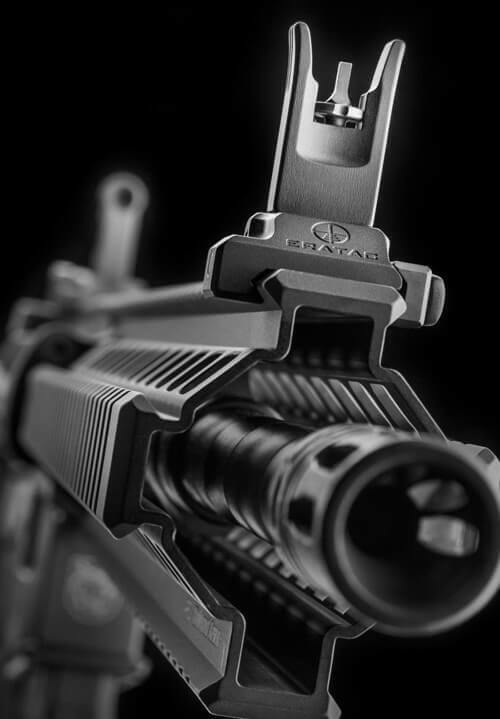 The ERATAC® backup-sight is suit­able for all AR15 front sights having an 8-36 UNF thread. Because of this, a large variety of after market front sights may be used. The ERATAC® backup-sight with its very low height of only 9 mm / 0.35” also facil­i­tates the use of extremely low mounted optics.